* Vote Dwayne 'The Rock' Johnson by Sharing or Tweeting! 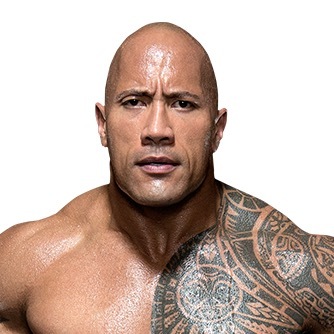 Dwayne 'The Rock' Johnson is an American actor. He was a famous WWE wrestler before he became a Hollywood actor. He is known for asking if "You know what The Rock is cooking". Well, honestly no one knew what the The Rock was cooking. Maybe steak? Zac Efron vs Dwayne "The Rock" Johnson pull-ups challenge.... who will win?